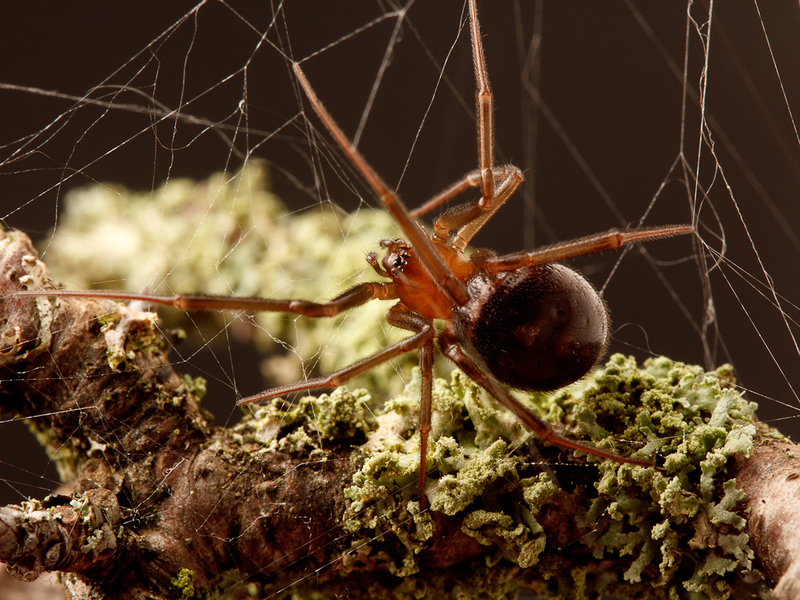 October is a month for spiders, being the time when many of the species which have grown large on summer’s bounty are settling down to lay eggs, or looking for overwintering sites. 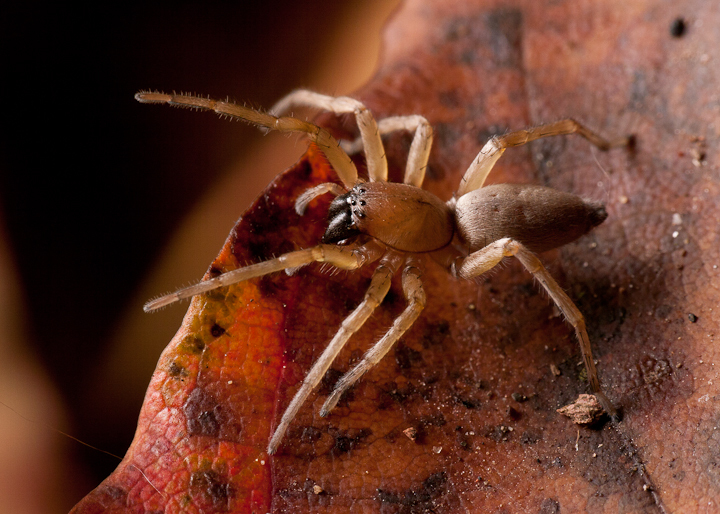 For spider photographers, it is like golden hour all month! 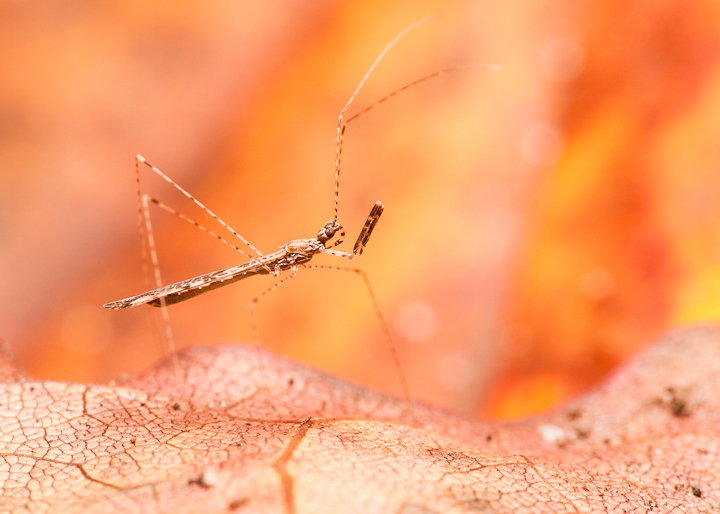 If you search flickr for “Arachtober” you will find the photographic bounty that macrophotographers have amassed. This Arachtober, I have not really been applying myself to spider photography, although I have made some dedicated efforts to secure shots of black widow defenses (for Catherine’s invited talk at last weekend’s ESBC conference), or Steatoda males and females, for my friend Chloe Gerak’s award-winning talk at the same conference. 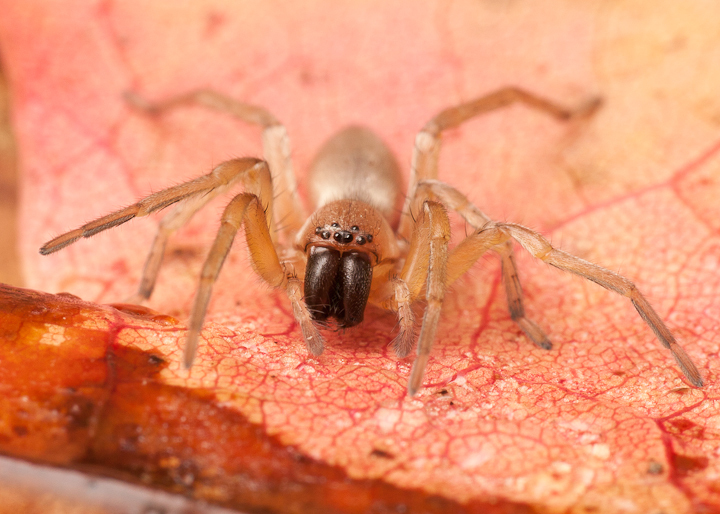 Anyway, here are some shots and thoughts about my Arachtober. 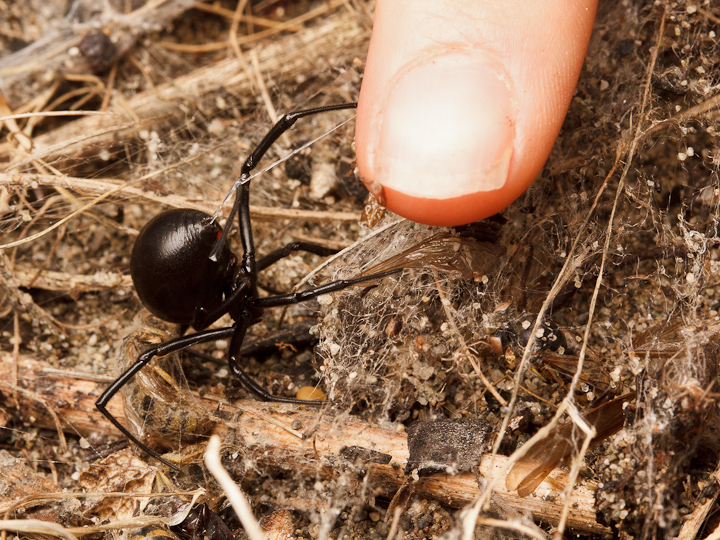 Western black widow throwing silk on Catherine’s finger at Island View Beach. 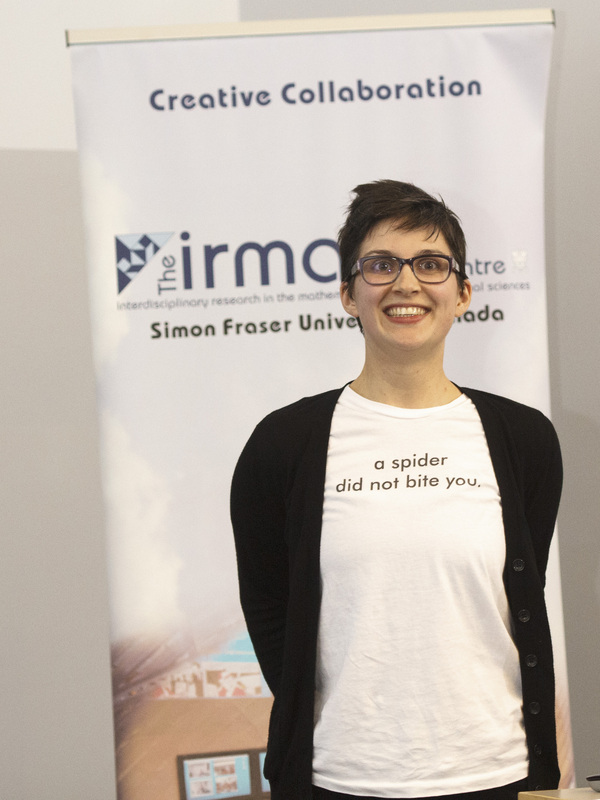 Catherine gave a great talk on “dangerous spiders” at the ESBC conference, her first 1/2 hour talk. Her t-shirt (thanks Alex Wild!) serves as a great abstract of the talk. Female Steatoda grossa with a bit of backlight highlighting her web. False black widows around here are not very black! 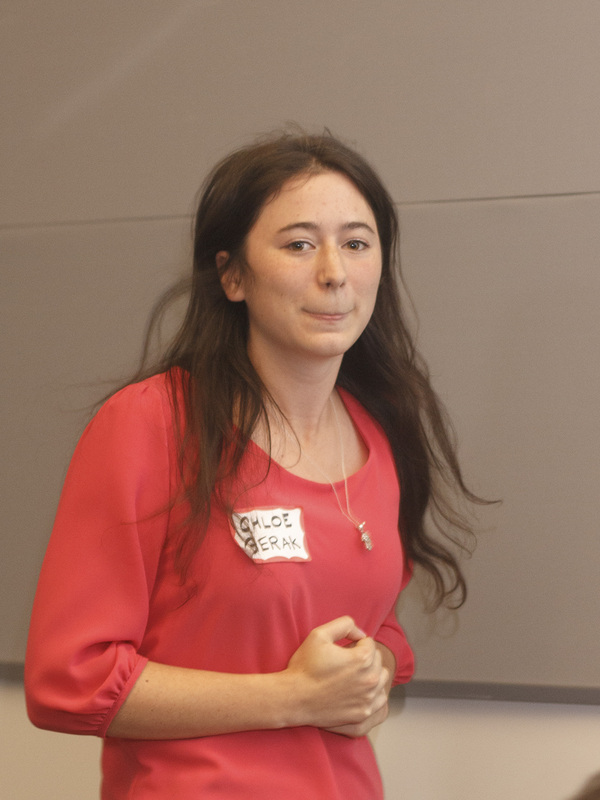 Chloe after delivering her awesome, award-winning talk entitled “How the false widow finds true love”. 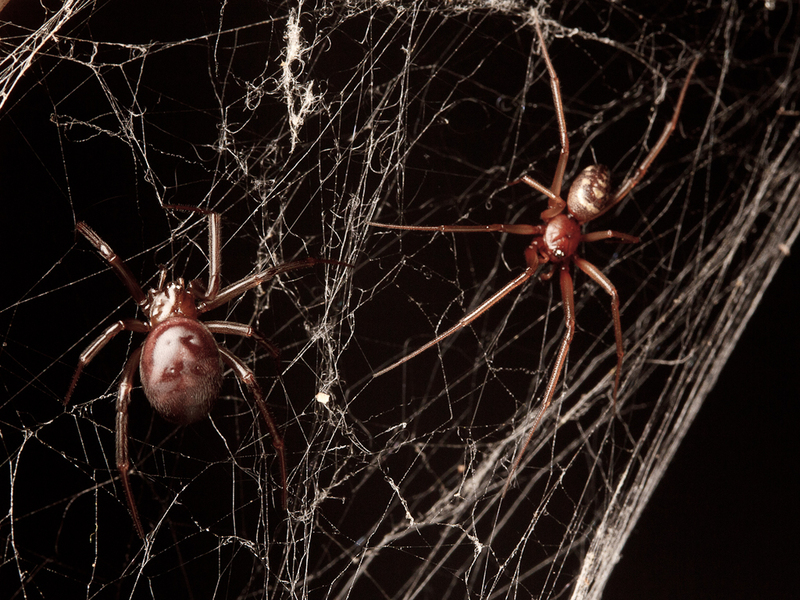 Male and female Steatoda grossa juxtaposed for comparison. A largish sac spider (Clubionidae) showing the large chelicerae typical of the family. Putting the light a little behind the spider can help resolve some of the surface details and maintain a bit of mysteriousness at the same time. 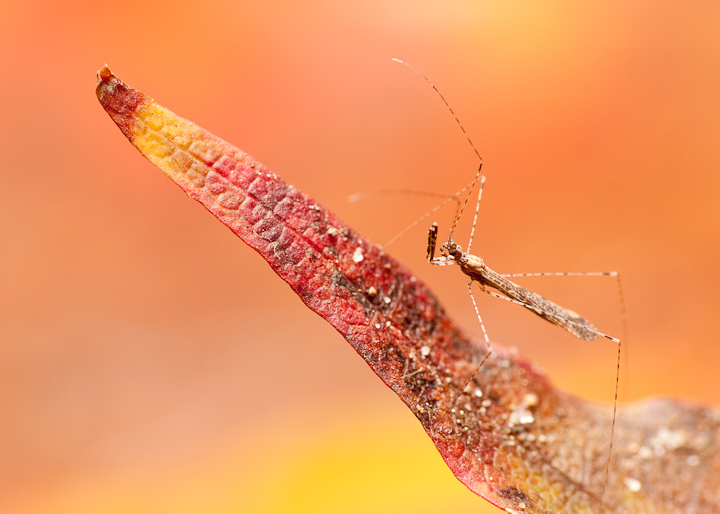 More direct light makes for a less moody feel as the sac spider drinks water on a colourful leaf. 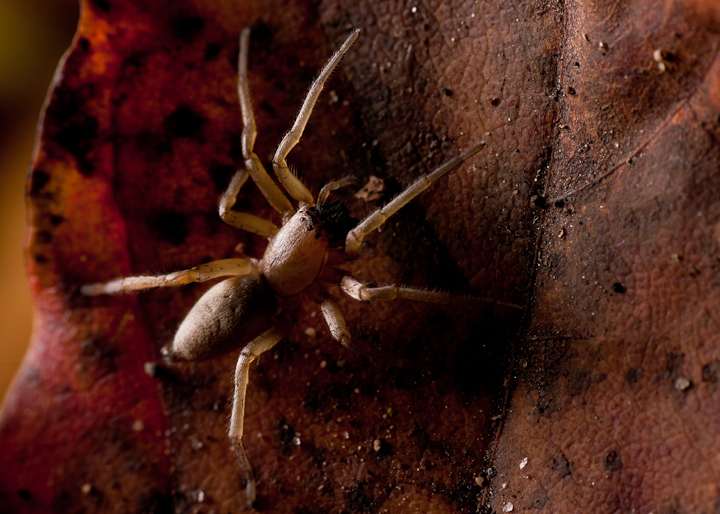 Arachtober is also a scary time for spiders. 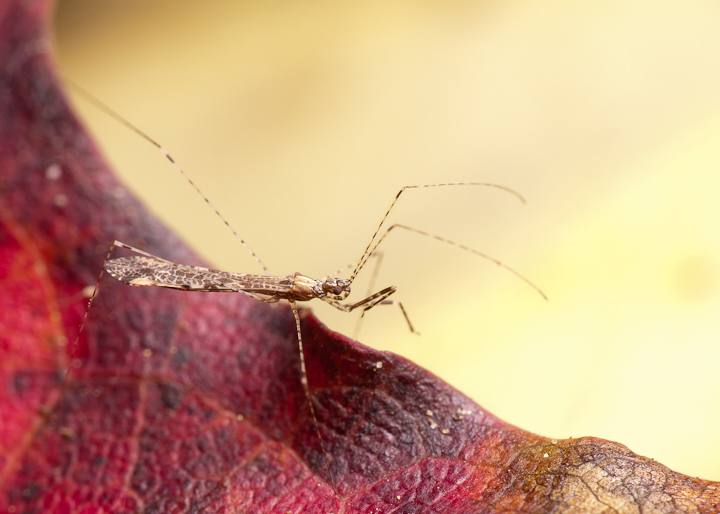 Here is an emesine thread-legged bug I found in a spider retreat, where it was likely feeding on spider eggs. 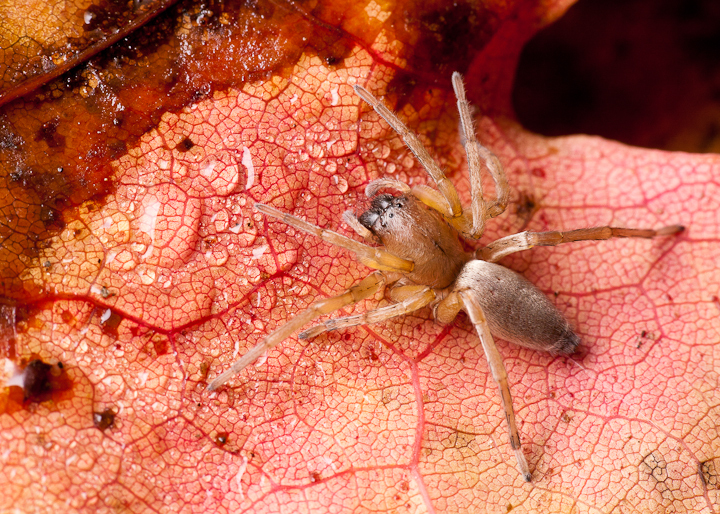 Fall foliage makes for a wonderful seasonal backdrop for this Hallowe’en spider villain.